Get better performance every day, with a balanced approach to fitness and health at our convenient fitness clubs. Our O2 Fitness team is there to support your fitness journey. Each O2 Fitness club has the latest fitness equipment and facilities to help you feel good and be happy! Get better performance every day, with a balanced approach to fitness and health at our convenient fitness clubs. Our O2 Fitness team is there to support your fitness journey. Our trainers are here to help our members achieve their goals. We are all qualified by reputable institutions and are happy to provide you with attentive service while focusing on your individual needs. We view fitness as a lifestyle, not a chore. Our Customer Service Team provides quality service to meet the needs of our members. They are ready to go the extra mile to introduce products and services that will bring the most benefit to individual members based on their needs. Focus on the safety and effectiveness of exercise in everything that we do. Come to O2 Fitness to find your Happy, Healthy, and Fun place to workout. Convenience - We are close to where you live, or work, or both. We love fitness and are open and ready to serve when you need us. Stop by our Clubs page to see our individual club operating hours. Classes - All classes are free of charge and open to all our members. Just come by and join the class you want, we're looking forward to having a great time! Equipment - We have the latest, top of the line fitness equipment at each of our locations. We're ready to support, teach, and train from casual fitness users to advanced athletes. Get back to the Essentials of Fitness. We are optimistic leaders in the Fitness industry, responsive to our members, and real people. Our goal is to encourage and motivate everyone along their fitness journey. Whether it is for better health, strength, just having fun... or anything in-between. We love being there for our members. Our centers are easy to understand, simple to navigate, and bring back to the essentials of Fitness. Our trainers are well educated, fun, and there for you. Need a spotter? Need some help with a specific piece of equipment? Want to learn a new exercise movement? Ask our Floor Trainers if you need help, they are happy to help anytime. If you're working with one of personal trainers, they'll help tailor customized workout plans to help achieve your goal. But working out with a trainer alone won't do it. They can help identify ways to improve your lifestyle both inside and outside the gym. Your goals are our goals. Our vision at O2 Fitness is to provide high quality optimized fitness centers to our members. Our goal is to make Health and Fitness available to everyone, everyday. 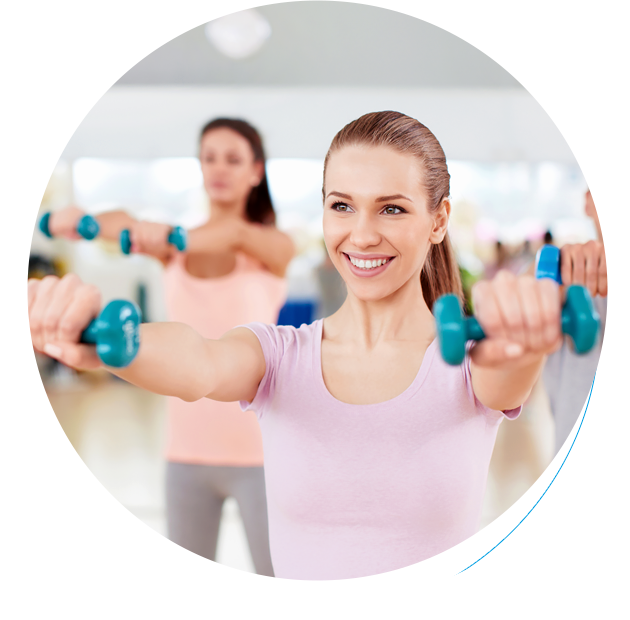 We provide great service with friendly and honest staff ready to help members achieve health without limitation. Our goal is to bring better health to the community through programs that engage members and the community beyond O2 Fitness. O2 Fitness provides high quality optimized fitness centers with the health and fitness essentials for everyone, everyday. We are a leading service provider with friendly and honest staff ready to help members achieve health beyond limitation. We aim to bring better health to the community through empowerment programs that engage members and the community beyond O2 Fitness. Like Oxygen, the essential ingredient for life, O2 Fitness depicts the very idea of focusing on the essentials of fitness. We embrace back-to-basics Fitness, ridding our clubs of the unnecessary that fulfill mere social waves. This is how we ensure the right fit that change habits and build great lifestyles. At O2 Fitness, we're more than just about Fitness Centers. We are integral members of the Community. We manage with good governance and social responsibility. We empower effortless health by eliminating barriers and frictions throughout health journey. We are accessable to our members providing standard and consistent service to our Members. We seek continuous improvement of processes and capabilities looking to engage fitness beyond the Fitness facility. Don’t miss a thing! Subscribe and get email updates. We provide great service with friendly staffs. Please complete the information, we will call you shortly to book a visit right away!